There are no bigger deadbeats than parents who repeatedly fail to pay their child support obligations. 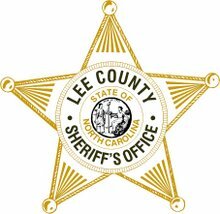 The Lee County Sheriff's Office can use your help in locating individuals who are seriously delinquent. By doing so you can help children have the financial support they deserve. CLICK OLDER POSTS FOR MORE DEAD BEATS! Click here for more information for child support laws in North Carolina.